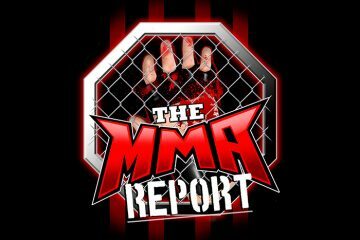 Conor McGregor will return to the UFC octagon on Saturday at UFC 229 as he will look to reclaim the UFC lightweight title when he faces Khabib Nurmagomedov and get ready for the event by listening to The MMA Report Podcast with Jason Floyd and Daniel Galvan. While breaking down the matchup between Khabib and Conor is simple, Jason and Daniel have different picks on who they like to win the fight. Along with previewing the main event, the guys will tell you the other fights on the card that interest them and they give you all of their picks for the fights. Now before they give their picks on the fights, you will hear Jason’s conversation with Brian Edwards of the Games Galore Podcast. They discuss the betting lines for the fights, some of the prop bets, and when you should place your bet if you plan to make a wager on Khabib or Conor. Up next, Jason and Daniel take a look back at what happened last weekend at Bellator 206. Jason will tell you about how DAZN makes him appreciate UFC Fight Pass and they go through the top four fights that took place on the card. Then it’s on to the fighter interview portion of the show as Jason chats with Rakim Cleveland about his fight next weekend at PFL against Vinny Magalhaes and undefeated prospect Mario Bautista previews his fight next week at the Combate Americas show. Following the interviews, it’s the Buy/Sell segment and then they wrap up this week’s podcast by discussing some of the latest fight bookings in the UFC including the title fight set for next month’s UFC 230. 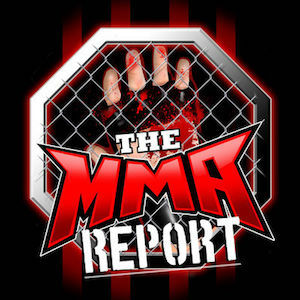 This episode of The MMA Report Podcast is brought to you by Vivid Seats. Vivid Seats is an online event ticket marketplace dedicated to providing fans of live entertainment with experiences that last a lifetime. Go to the App Store or Google Play and download the Vivid Seats app. Enter promo code INFLUENCE to receive 10% off your first purchase with Vivid Seats. UFC 229 DFS Preview Show with Jason Floyd and Pete Rogers Jr.